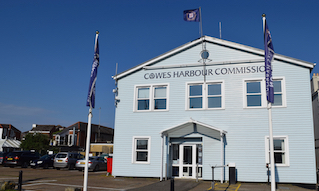 Cowes Harbour Storage offers instant and easily accessible self storage solutions for all your storage needs in individual, steel partitioned rooms at Cowes Harbour Services Boatyard, Kingston Wharf, East Cowes. Contact Us to book your self-storage unit today! The 48 units provided offer a wide range of sizes (from 18 to 90 sqft) and will suit your personal needs where you can store your yachting equipment, household or business items for either long or short-term rental. Simply rent your own clean, dry unit at competitive prices. If you are moving home, in between moves or even renovating or decorating your home we can provide that extra space. 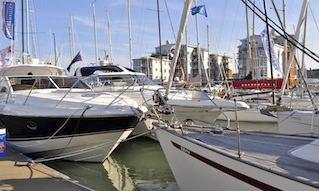 Cowes Harbour Storage is situated in an excellent location providing access from both Kingston Road and also from Kingston Wharf on the River Medina. 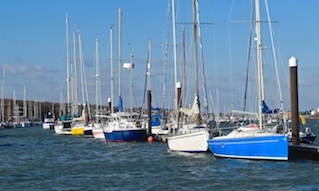 It is only 3 minutes from the Red Funnel Ferry terminal at East Cowes. Access is available 7 days a week. Boat owners can take advantage of the use of the pontoons for easy access and free loading and unloading. Our first priority is to safeguard the security of your belongings, which is why we have chosen to use for our centre tried and tested security and fire systems provided and installed by Chubb. Our storage centre at Cowes Harbour Services is within a secure area with perimeter fencing and controlled site access that is only accessible by personalised customer access codes. It is protected by video surveillance inside and outside the building, including the main gate access to the area. Your Cowes Harbour Storage self storage room is protected by your own padlock to which you retain the key. We also have two 20ft x 8ft containers available to rent. The containers are suitable for storage usage and have power for light. For details on our Boatyard lifting and storage options, see the Lifting and Storage section.